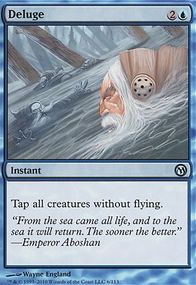 any reason why you're not including Nezahal, Primal Tide or Chromium, the Mutable as a finisher? 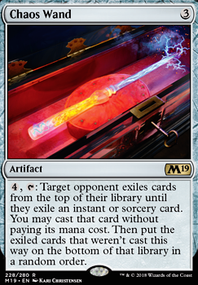 You do get to put it down for free with Emergency Powers and it seems like a very efficient way to close out a game, given the fact that they're insanely hard to remove. 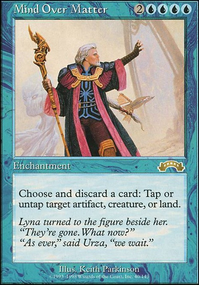 I know you can go in with Ugin's 2/2s to win the game, but that seems easier to remove with the amount of planeswalker hate we have and also Dovin's Veto . 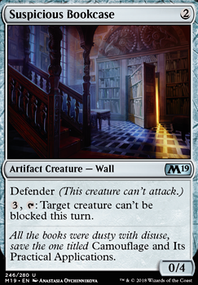 As a general rule in Magic you can't be 100% effective against all decks without sideboard. Since the deck is for Bo1, my strategy for Bo1 Azorius is 6 counterspells (4 Sinister Sabotage s (no wildcards for Absorb lul) + 2 Negate s), 6 sweepers (varying combination between Settle the Wreckage and Cleansing Nova ), 3 Ixalan's Binding as the only spot removal, that can be replaced by Vraska's Contempt in Esper, 4 Fountain of Renewal , 4 Dawn of Hope , 3 Search for Azcanta Flip. 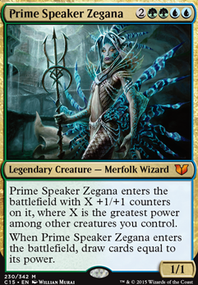 The finisher is 4 Teferi, Hero of Dominaria and 2 Nezahal, Primal Tide . 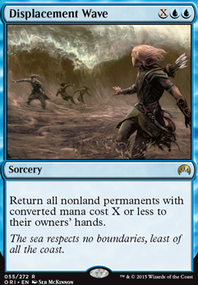 I also run 24 lands because the search helps a lot. Even have 3 slots left to fill with various cards, Psychic Corrosion , some more draw, more counters, depending on my mood and the meta shifts. With this list I usually manage to beat most control decks (Esper with 4 Thought Erasure and 12+ coutners is by far the hardest control match-up, and have in my estimates around 35% to 45% winrate vs mono red/blue. 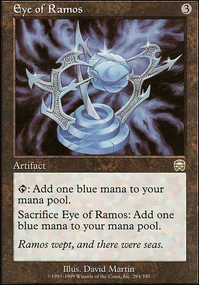 The 2 mana to draw is optional and sometimes i don't use it at all and sometimes I pay more than once for the cards. It all depends on the situation. 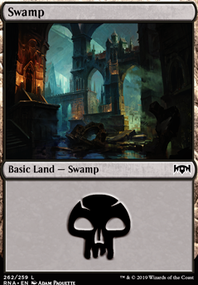 The tokens also help with lifegain and chumpblocking the aggro attacks. My revised advice is to pick a match-up that you want to win most and tech towards that. 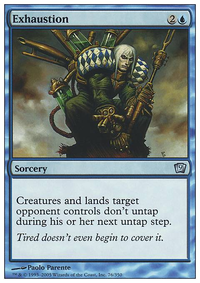 I for example like trolling control players with long matches and I've geared the deck to be slightly more favoured against control rather than aggro. 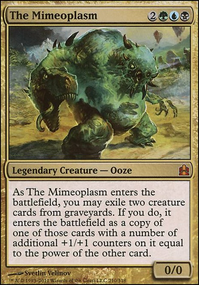 The strategy is working amazingly since most control players in Bo1 run too many creature removal and I have only 2 that are non-essential, which results in a lot of dead cards in their hand. For what you are trying to do, you seem a bit creature, you seem a bit creature heavy. 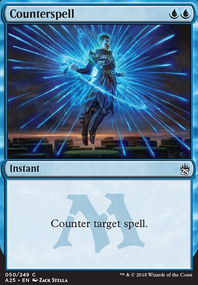 For your strategy, I'd target the higher mana cost cards that you might be able to do without (6 & 7 CMC). 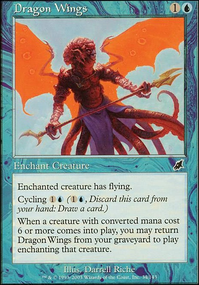 I am personally not a fan of most planeswalkers in EDH, especially if you play a lot of multiplayer. I could see either of those being easy cuts and not absolutely vital to your game plan. 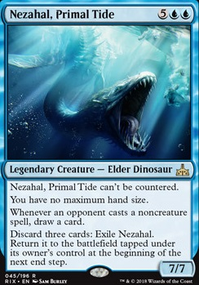 I'd personally drop Nezahal, Primal Tide as an expendable high CMC in your list. If you drop Mu Yanling , also drop Rhythmic Water Vortex . @Faded In one of my next Updates i will defnitly try to replace some cards with Echoing Truth and/or Into the Roil . 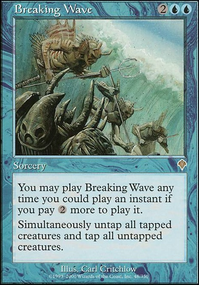 Also Wash Out might be a good replacement for some of other removement spells. 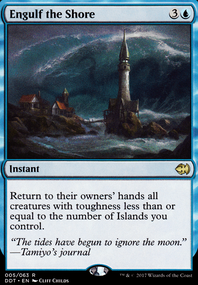 Warstorm Surge is already replaced with Ashnod's Altar - totale forgot about it. Arjun and Niv-Mizzet will leave the deck for cards from the Mayeboard in a future update. Up to now (only played ~25games) they did nothing for winning a game. @BloGames2603 because of cutting expensive creatures in future Mindwrack Liege isnt an option then. Because of cards like Coat of Arms, Favorable Winds and Obelisk of Urd Tetsuko Umezawa, Fugitive isn't an viable option at the moment. If one or two of these cards will leave the deck i will defnitly consider about Tetsuko. About Toothy, Imaginary Friend Im not sure because he is quite expensive to play and i have not much control about the moment when he dies. Therefore im tending to Chasm Skulker which synergize with cards like Impact Tremors and Goblin Bombardment . Consecrated Sphinx will definetly find its way in to this deck. 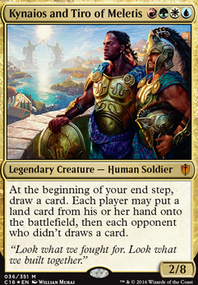 But op to now i have only a much cheaber version in Form of Windreader Sphinx . Nezahal, Primal Tide could also be a good replacement - i have to try him. But why do you think Rhystic Study does not wirk with Propaganda? Hey, nice list! 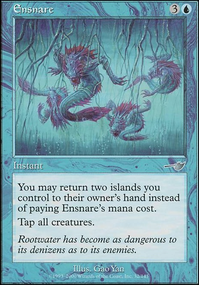 I would recommend cutting the Unwind s for other 2 drop counterspells ( Negate , Quench , Essence Scatter , Syncopate , Disdainful Stroke ) or even a Sinister Sabotage or two. 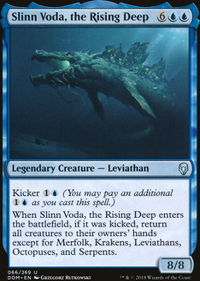 Secondly, Nezahal, Primal Tide would probably be a better replacement for Teferi than Dovin/Dovin's Dimissal. 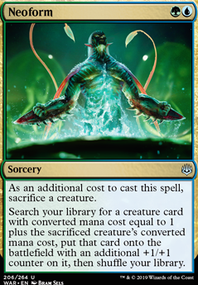 Just a 1 of, and some more card draw like 1x Opt and 2x Revitalize against burn/aggro could help. 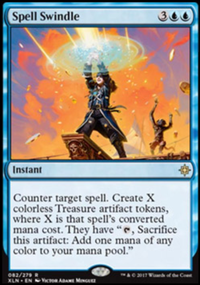 Additionally, for the sideboard I'd drop the creatures, Omenspeaker and Healer's Hawk s in for more Ixalan's Binding s and Negate s. Perhaps siding out an Essence Scatter and a Lawmage's Binding from the mainboard and bringing in another couple Settle the Wreckage s could help against the ever-popular midrange lists like Esper/Sultai as well. That's about it though, good luck and a +1 from me!